Pressure is beginning to mount to review the dates for the All-Ireland senior hurling and football finals, which have been moved from their traditional September slots. This year's hurling final will be played on August 19 - two weeks earlier than usual - with the football decider on September 2. It was due to be played on August 26 but the GAA agreed to move it in order to make Croke Park available on that day for the Pope's visit. 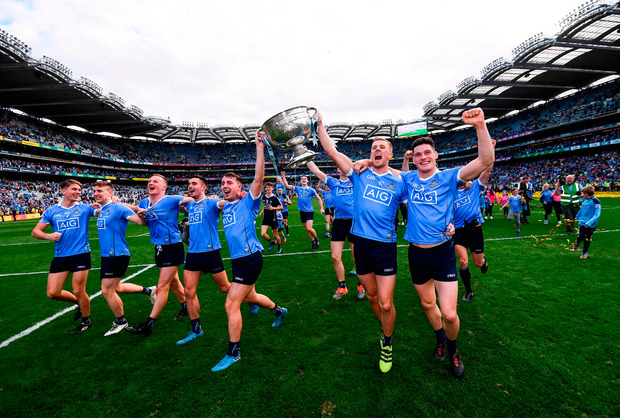 Congress decided last year to play the 2018-'19-'20 All-Ireland finals on the last two Sundays in August as part of the extensive All-Ireland championship experiments in both football and hurling. However, there's growing unease over the manner in which the programme is being squeezed into a much tighter time frame which, after this year, will have no September action. The Irish Independent understands that some counties are consulting with each other to gauge the level of support for reviewing the dates, after which they will decide whether to prepare formal proposals for change. Since 2006, the hurling and football finals were played on the first and third Sundays in September respectively. Proposals to play them earlier failed at Congress on a few occasions, before being passed in 2017 as part of a wider reform package. While it's unlikely that an attempt will be made to revert to the traditional dates, playing the finals on the last Sunday in August (hurling) and the second Sunday in September (football) is being mooted privately in some counties. They believe that playing both of them in August is not necessary from a club fixtures' standpoint and merely has the effect of throwing away valuable promotional opportunities. Central Council has the power to change the dates "in exceptional circumstances", which they invoked for the Pope's visit this year. However, it would probably take a Congress decision to switch them purely for scheduling purposes.